Ed. note: I’d love to delete/alter this post. Truth be told, it’s so ridiculous it’s kind of embarrassing. But I’m going to leave it as is so it can be a cautionary tale to me: This is what happens when I’m overly amused with myself. u guise*. srsly – a) making both Seder and Easter treats in one weekend is the only way to live****, and b) there is way too much awesome theatre** stuff to do and see. *Friends, you might want to get used to my ridiculous use of lolspeak and my flagrant breaking of grammar rules. I was an English major so I’m totally licensed to break the rulez, as well as enforce them on others. wut? **Yeah I said theatRE. It’s super artsy up in this piece. HANDLE IT. ***I didn’t triple-asterisk anything up there but feel the need to tell you all: I swear like a sailor. I blame it on my bf and bff, and on the fact that my formerly start-up day job is still clinging to start-up culture, and doesn’t mind my potty mouth. Or at least, I haven’t gotten any feedback to that effect, ergo they love it when I cuss. I’m trying to keep this blog clean for all the wimmenz and chillunz that might read it, but please accept my apologies if I slip up. Whoa, now I’m really tempted to insert swear words all over the place in this post. I’m trying to figure out when I’m going to see all kinds of awesome shows around the Bay Area, so I thought I’d share with you what’s on my list of things I want to see. That way you can publicly scorn me, or perhaps recommend something my addled brain has missed, or, you know, JOIN ME. Directed by Jon Tracy who happens to be ten kinds of awesome. I don’t have a night marked out on my calendar for this yet, but I’m hoping to make it happen. It’s been extended through 4/29, I’ll be there 4/15! I’m in love with Shotgun’s verve and zip and chutzpah and all that. Also, this cast is made up of so many artists I love and admire. I’m going on the 15th, and am truly looking forward to it. City Lights Theater, Closing this Sunday! The company I’m currently in rehearsals with is running this right now, and I desperately I want to see it for several reasons: first (spoilers!) I’m working on Hamlet later this year, so seeing a production of it seems like a no brainer. 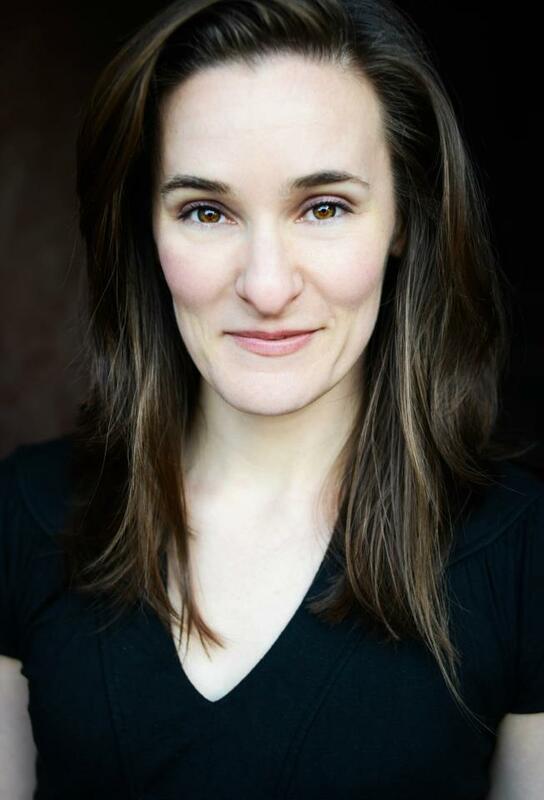 Second: Sarah Moser. Sarah and I worked together on Almost, Maine over a year ago and she’s still one of my favorite people. If you don’t know Sarah and can’t get to Hamlet this weekend, then put In the Next Room (my next show, duh, haven’t you been reading my blog?) on your calendar. She’s marvelous. Because MOAR SHAKESPEARE!!!!11!! Shoot. I totally should have saved that for later in this post. Ah well. Aldo Billingslea is kind of a big deal, and combined with Craig Marker and the rest of the fabulous cast, I’m really excited to see this show. A slight departure from the other stuff on this list, Lucky Duck is lighthearted family fare and stars bunches of my Seussical comrades, which means it will be the bizness. And here’s where I should be all “MOAR SHAKESPEARE ELEVENTY” but I already used that. So I will just say that Shakespeare and Company is the most remarkable training I’ve ever had the pleasure of attending and I CANNOT WAIT to do their weekend intensive in a few weeks. 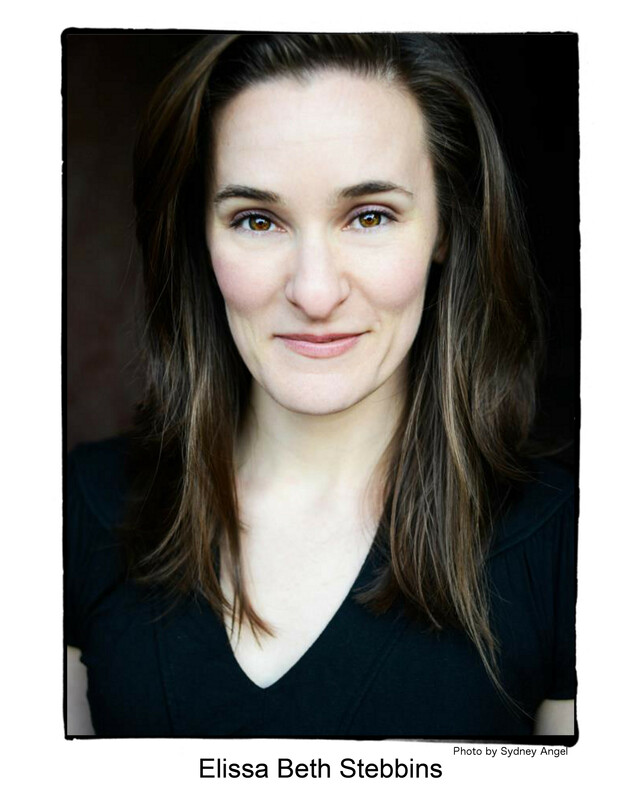 If you are an actor, you will benefit tremendously, whether you are a seasoned Shakespeare pro or Shakespeare averse. And they didn’t pay me for this plug – tho if there’s any cause for which I would proselytize without pay it’s this one – but I do get a discount on this workshop if you tell them I sent you. Plus, we would get to spend the weekend together. So what are you waiting for? ****HERE’S that quad-asterisk you’ve been waiting for. I didn’t get pictures of the toffee and chocolate matzo (Seder! ), nor the deviled eggs (Easter! 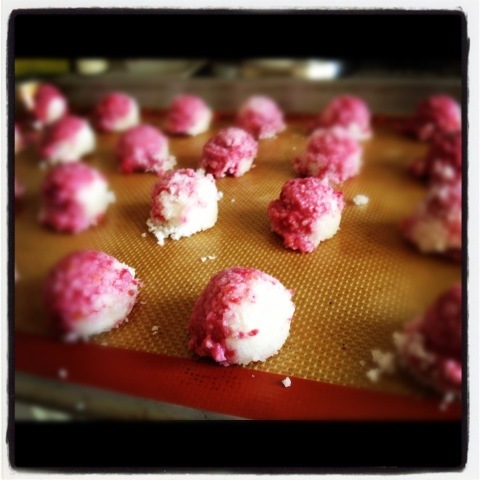 ), but I did get a picture of the raspberry coconut macaroons (Seder! and Easter!). Highly recommend!